Catholic priests in Mexico say the country is under attack by Satan, and that more exorcists are needed to fight him. This attack, they say, is showing itself in the gruesome drug-related violence, including human sacrifice, that has engulfed the country since 2006. According to the latest official figures available, at least 70,000 people have died in this period, including gunmen, members of the security forces, and many innocent civilians. 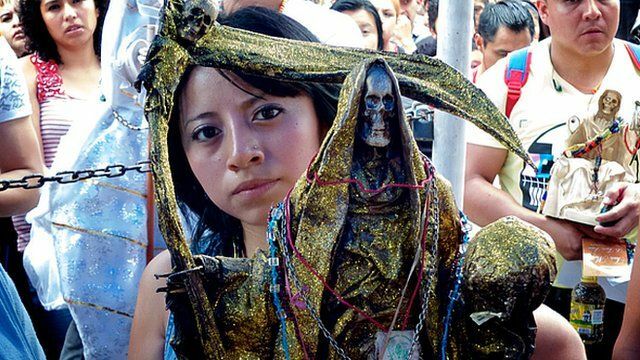 Mexico's exorcists say there is unprecedented demand for their services. Some are even not taking new cases, as they are having to exorcise demons almost every day, as Vladimir Hernandez reports for BBC Newsnight.